COME LORD JESUS – Welcome to Fr. JohnBosco's Blog! It is the first day of the Church’s Liturgical Year, and I say happy new year to you. My prayer is that in this new liturgical year, our spiritual strength would be more strengthened and we be more prepared to meet Christ any time he calls us to come back to him. Amen. 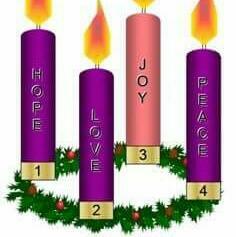 We also call this Sunday, the First Sunday of Advent. It is a period of waiting for the coming of the Lord. The prophet Isaiah tells us the importance of such a wait, that God works for those who wait for him (Isa 64:4-5). And so we wait on him for liberation and purification. His presence brings transformation and our alienation from him has kept us suffering (cf. Isa 63:16-17; 64:1-8), hence the psalmist beckons on him, “O God, bring us back; let your face shine on us, and we shall be saved” (Ps 80:4). Christ indeed comes with salvation and liberation. That is the joy we shall celebrate at Christmas. Jesus wants us to reap the full fruits of that coming. So he encourages us to watchful and prepared (Mark 13:33-37). That admonition of Jesus reminds us that Advent is not only a period of preparing for Christmas that commemorates the first coming of Christ in Bethlehem; it anticipates his second coming in glory (Parousia). At this period, the Church would begin to use the purple vestments and cloths. The purple is for royalty and it makes reflect of Christ who is coming as a king. It is also a sign of repentance, reminding us that while we wait on Christ, we need to repent of our sins, sweep our house clean and then wait for the manifestation of his glory. I pray that his anticipated coming will give you hope and may his coming bring transformation into every aspect of your life, especially your spiritual life. Amen. I wish you once more a prosperous new liturgical year a grace filled Sunday. It is well with you. Previous story JESUS, THE WOUNDED HEALER!